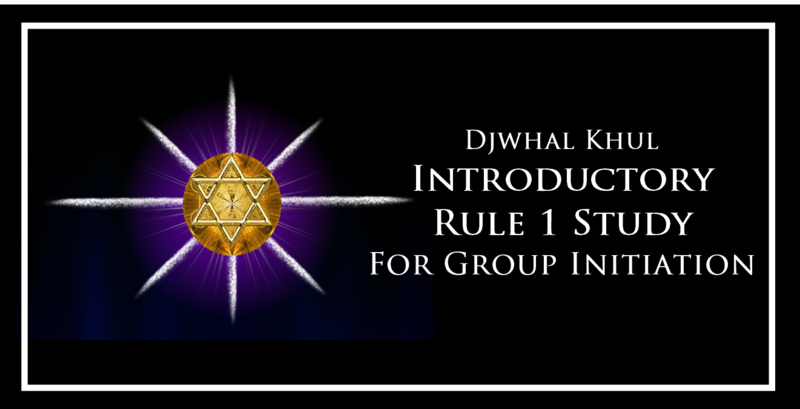 The Elemental Grace Alliance (EGA), is inviting all those who may like to participate in the November Group, for a 10-day Study opportunity of Rule 1 of the 14 Rules for Group Initiation, as set out by Djwhal Khul in The Rays and The Initiations by Alice Bailey. The success of this Group Rule Study over the past months continues to encourage and inspire all to move forward in greater awareness of their Spiritual Development through the Teaching of Brother DK. This Study is Over Lighted and Guided by Master Djwhal Khul Himself, the Karmic Board of Directors and other Members of the Shamballa and the Hierarchy. “I wish to encourage your creativity to attain your goals, to be mindful of the Vision and hold this Vision firmly within your Hearts and Minds. “I will help you with your Group Endeavours, to rise in consciousness to go forth as a Divine Unity of Oneness, To Love and Serve All Beings while truly Comprehending and Understanding the Truth of Working as a Group within this New Golden Age. Just a Few Days to go before the Registration for the November Group is Closed. Act Now to secure your Online Seat! For More Detail About This Unique, 10-Day Free Study Opportunity, Follow This Link for Registration for the November 7th Group. It Closes on 26th October 2018. I missed the closing date to register for the rule 1 free online course. Will this course be givien again? Hello Peter! Thank you .. I would like to attend the course; provided that this does not hinder my other studies in the group I now share (Rule 3 Day 27). Hi Rolf, this course is the same one you have already finished. You are welcome to repeat it if you wish. It is not a usual request, but everyone is individual so we can appreciate this potential. May I ask your reason for doing it again?